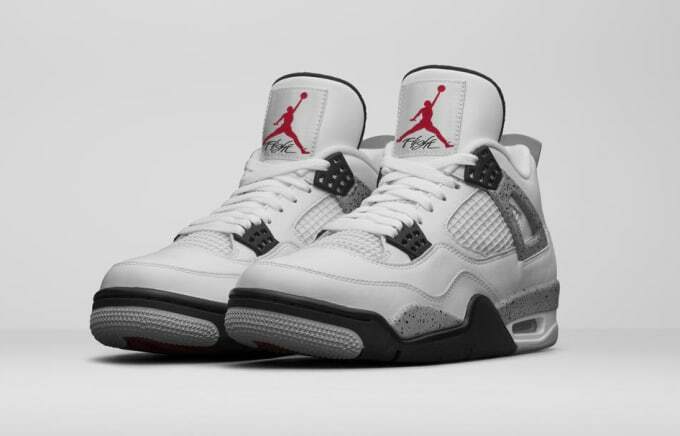 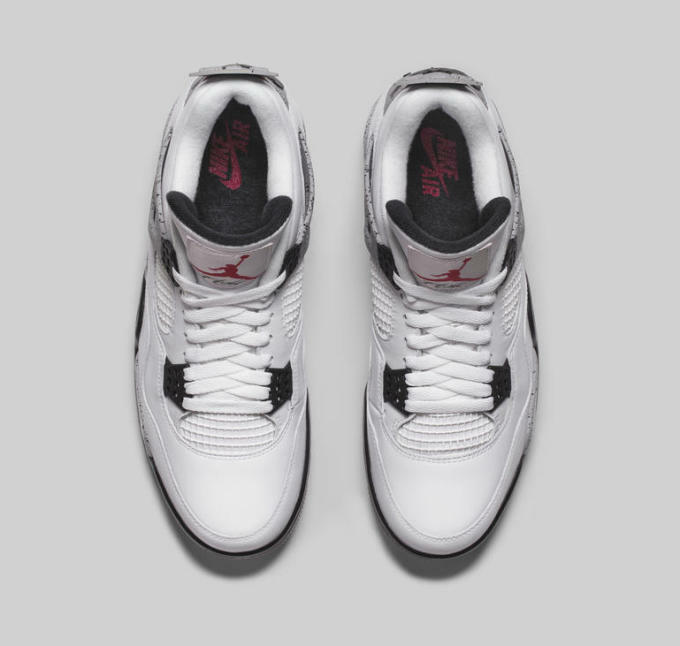 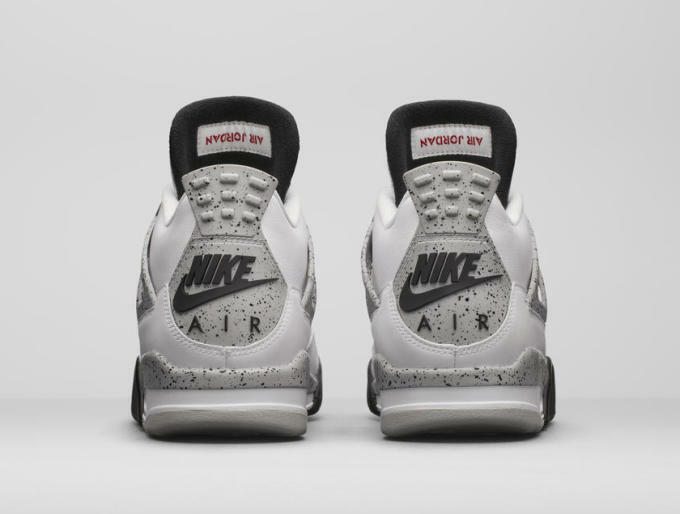 Following Nike&apos;s acknowledgement of the return of "Nike Air" branding to Air Jordan Retros, the brand also dropped off an official look at next year&apos;s "White/Cement" Jordan IVs. 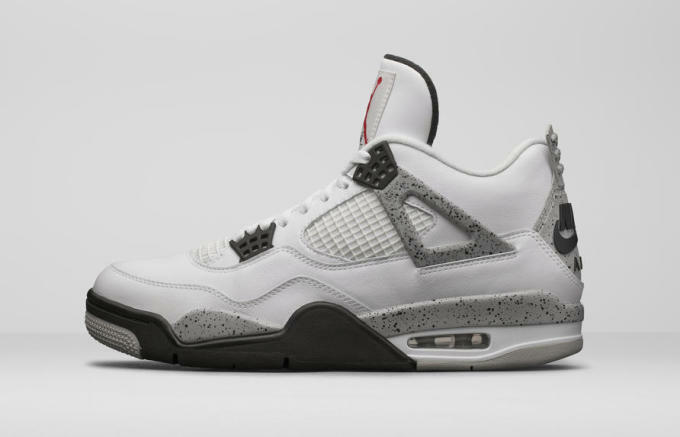 As expected, this is easily the best looking take on this colorway since its 1999 Retro, although we&apos;ll leave it up to you to decide which one is better. 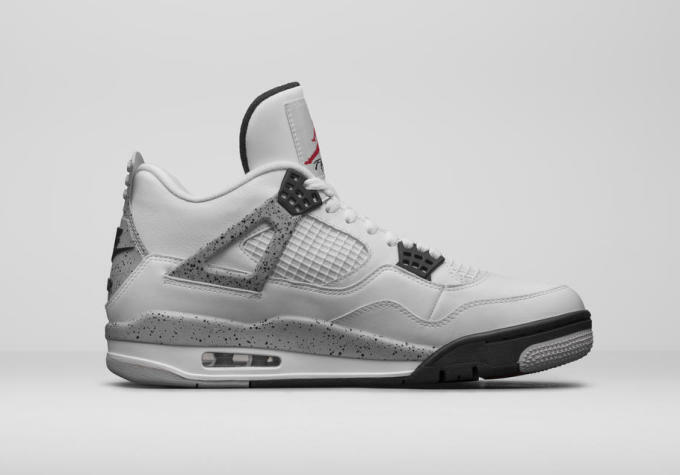 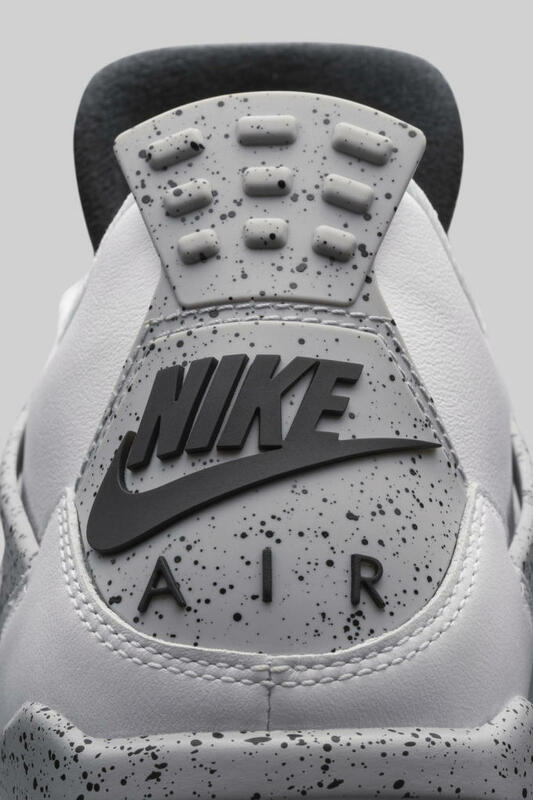 The only problem is that these images are going to have to hold you over for a few months — the "White/Cement" IVs don&apos;t actually drop until All-Star Weekend next year on February 13 for $220.